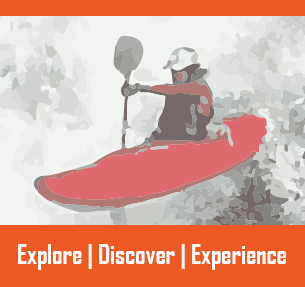 Four Nepali kayakers just explored the Likhu Khola for the first time. INKA TROLLSAS, who walked the valley trail alongside them, believes more such expeditions are needed. A team of four Nepali kayakers explored the Likhu Khola in Okhaldhunga last month. This was the first time that a river in Nepal was explored by Nepalis. The river is extreme and only for experts. With a put-in at 1,700m and finish at 400 m, it is one of the steepest rivers ever run in Nepal. It was an unforgettable experience for all involved. Ram Hari Silwal, the leader of the expedition, grew up next to the Trisuli river where he started his rafting career at twelve. 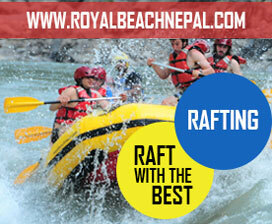 He is now twenty-five and is one of the most experienced raft-guides and kayakers in Nepal. Kayaking has taken him to ten differentcountries where he’s been on serious expeditions. 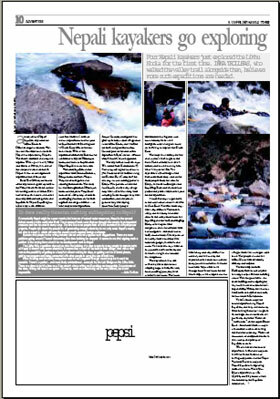 Late last year he kayaked the well-known grade IV Dudh Kosi, with an international team. With all this experience behind him Ram has the confidence to explore Himalayan rivers, and wants to inspire other Nepali kayakers to do the same. The other kayakers on the expedition were Dhruba Shrestha, Binaya Lama and lndra Thapa. They are all river-guides and amazing river runners. This team has worked together on Himalayan rivers over the years. They know each other’s skills, they’ve been in challenging situations on the river together and are good friends—an ideal team for the expedition. Achyut Gautam, a raft guide who grew up in Leti, a small village close to the Likhu Khola, and I walked the trails along the river valley. Gautam planted the seed of this expedition in Ram’s mind—without him, it wouldn’t have happened. 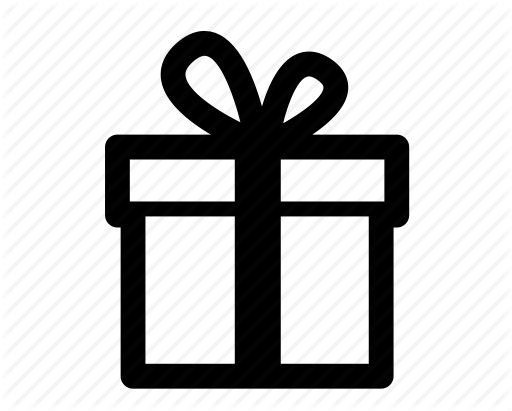 The expedition took ten days. river came from maps and advice from people from the area. At Kenja, the river looked great for kayaking. Ram and his team had picked the perfect time of the year for the expedition. It took five days to get down to the confluence of the river with the Sun Kosi. The first three days were very difficult. The river is steep, and the many landslide areas in the valley made both the kayaking and the walk challenging. Many of the rapids were dangerous and a lot of them were not navigable—the team had to walk around them. Other parts of the valley were beautiful, with romantic gorges, waterfalls and caves. The next two days were an easy paddle down the river, and the trails along it also became less dangerous. The expedition was selfsufficient, which meant that sleeping bags, shelter, first aid, food, cooking pots, etc, were carried in the boats. The boats were heavy and very difficult to control, and it was only the expertise of the team that averted many possible accidents. It would have been impossible to fit enough food in the boats for the whole trip, so we camped close tovillages where we could get some food. The people around the Likhu Khola were extremely friendly and helpful. The river trip ended in Harkapur, where to our surprise the army had just finished building a road. This was good news—no more walking, and navigating the way back would be someone else’s responsibility. Twenty-three hours, a breakdown and a minor crash later, the bus arrived in Kathmandu. this county and plenty of kayakers to do it. What is needed for future expeditions is financial support. It will be in the interest of rafting companies and the Nepal Tourism Board to support Nepali kayakers in exploring their own rivers. 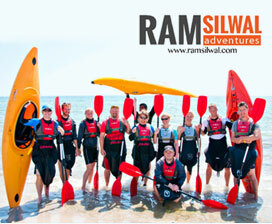 The Likhu Khola expedition cost Rs 45,000, and 80 percent of thiswas funded by the kayakers themselves. 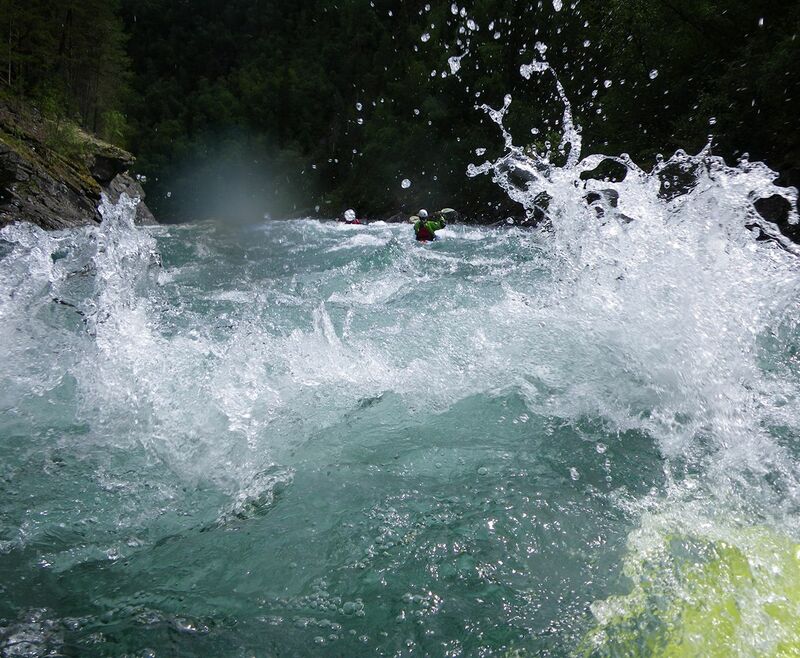 We are a Swedish company guiding paddling adventures and teaching whitewater kayaking in Scandinavia. 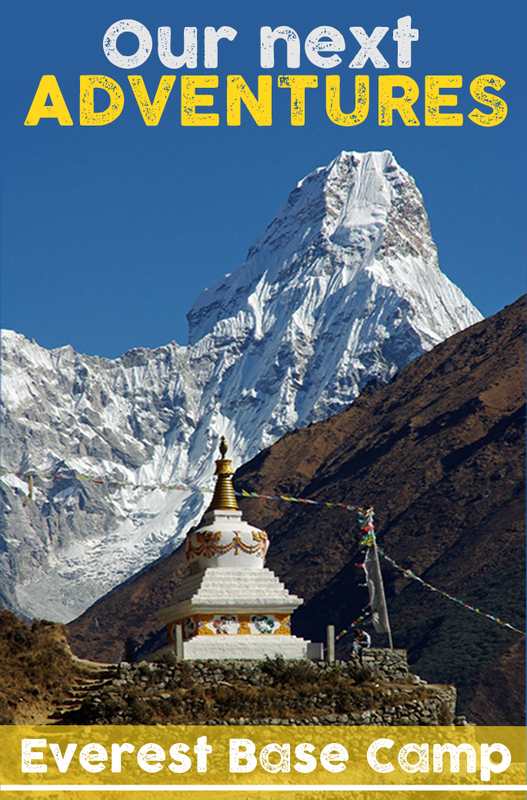 Our Himalayan eco-adventure center is the base for outdoors education & adventure travel! We work in Empowerment, Education and Environment, by creating opportunities for sustainable development.